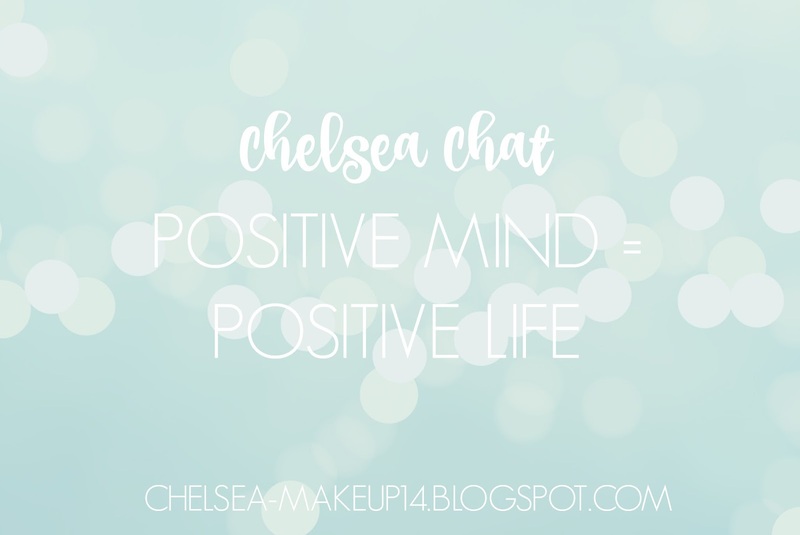 Chelsea Chat: Positive Mind = Positive Life | Chelsea B. Welcome to the first post in my new series, Chelsea Chat! I'm going to talk about many different topics throughout this series, most of them being about happiness and positivity. But there will be other topics. Today, I'm going to be talking to you about how having a positive mind = a positive life. When I wake up in the morning, how I wake up really affects how my day is going to be. If I wake up in a bad mood, I automatically know that the day is going to be bad. If I wake up in a good mood, I'm gonna have a good day. I'm sure you've heard people say that before, and I had heard it for years and rolled my eyes at the thought. As I've gotten older, I've realized it was true. The mood you're in when you first wake up, affects your whole day. Are you a morning person? For the longest time, I wasn't. I remember growing up and hating getting out of bed in the morning for school. My Dad had this idea that I should put my alarm clock on my shelf which wasn't near my bed, that way I'd have to get out of bed to turn my alarm off. It didn't work. I would get out of bed, but you know what I'd do? I would get up to turn the alarm off and then get back in bed. When I was thirteen, I moved to a farm and lived with my Grandparents. I learned to go to bed early because you have to get up early. I learned to become a morning person. I also drank a lot of coffee to get me to that point ha ha! Now, I love getting up in the morning. During the summer months, I like to get up early and make coffee and then go sit on my deck and watch the sunrise. I usually bring a journal out with me and write down what I'm thankful for and watch the sun come up. It's so peaceful and beautiful. When I wake up, the first thing I do is tell myself "today is gonna be a good day." I don't reach for my phone first thing. Never reach for your phone first thing, unless you have an alarm then turn your alarm off and then put that phone back down. So many of us wake up and think we have to check our phones. "Did I get any texts last night?" "Did anyone tweet me?" Don't worry about it! So every morning, I tell myself it's gonna be a good day. When you wake up thinking it's going to be a good day, it will be one. I also remind myself to be positive and to enjoy the day as it happens. I remind myself to be positive that way I remember when something doesn't go as planned, I see the positive side of it. I used to be someone who wanted to have my entire day planned out. I knew exactly what I'd be doing at exact times of the day. I quickly learned that things don't always go to plan! I also like to start my day by making a list of what I'm thankful for. I like to think about what I'm thankful for each day, because that just puts me in a really good mood. When you know what you're thankful for, you have no reason to be bitter. If you're not sure if you can be a morning person, that's fine! I have more tips for you! Make sure you have a smile on your face. Smiling makes you feel really good. Smile at others, because smiling is contagious and you'll be feeling good and so will other people. I like to remember to smile at strangers because you never know when someone might be having a bad day. That person could've been really sad, but because you smiled at them, it might turn their whole day around. You never know! Smiling also reduces stress, which if you're not stressed, then you're gonna be happy and positive. Always tell yourself that you "can" instead of "can't." You can do anything you set your mind to! I recently read a quote from Whoopi Goldberg that says "It never occurs to me that there are things I cannot do." Write that quote down and put it everywhere so you can see it and remind yourself that you can do anything you set your mind to. You want to write a book? You write that book. 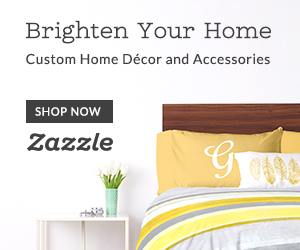 You want to open your own clothing boutique? You open that boutique. The only person stopping you is you. And NEVER let others tell you what you "can" and "can't" do. NEVER. I read a story on the internet somewhere, that this girls brother was told he would never do anything. She then posted that he bought his first Range Rover that day. Don't let others negativity get you down. Ignore them. I know it's hard to do sometimes. But remember, 99% of the time if people are being negative towards your dreams, is because they're envious. Just spread some positivity and MOVE ON. Lastly, remember you're in charge of your positivity and happiness. It's not Sally's fault you're being negative over something. It's your fault. People can't make you positive just like they can't make you negative. You're in charge of how you feel and what you think. I hope this post helps you guys! Remember to think positive thoughts. Always remember a positive mind = a positive life. If you think something is going to go badly it will. 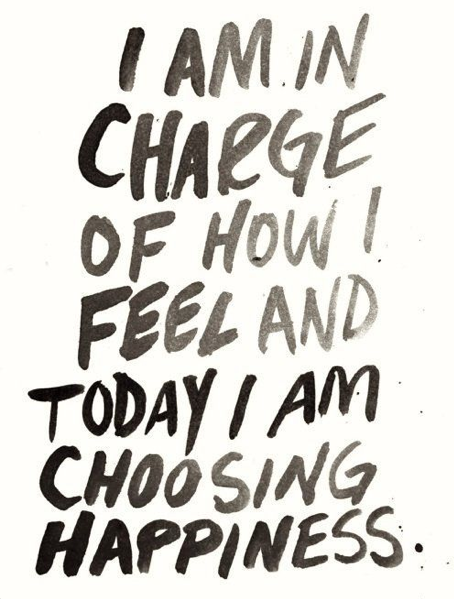 And remember that you are in charge of your happiness and positivity. When you keep a positive mind, and think about the positive side to things, your life will start changing.